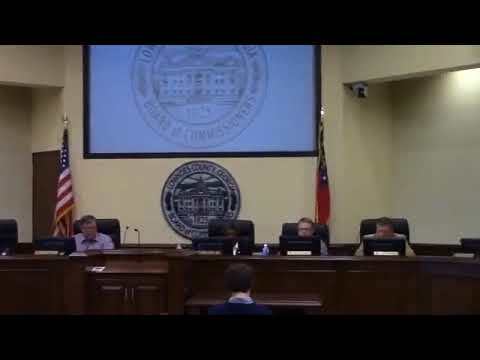 The Lowndes County Commission votes tonight, 5:30 PM, on a resolution Chairman Bill Slaughter put on the agenda yesterday morning in support of stopping diversion of state fees, just after a report about a tire amnesty that was apparently funded by the Georgia Solid Waste Trust Fund, which has had fees diverted upwards of $50 million. Valdosta and Hahira also have that resolution on their agendas, after Lanier County, Adel, and Atkinson County passed it recently. If you can attend one of these meetings and thank these elected officials for doing this, I’m sure they would appreciate it. This entry was posted in Law, Quality and tagged 1 February 2018, 2018-01-22, 2018-01-23, 2018-01-25, 2018-02-01, 22 January 2018, 23 January 2018, 25 January 2018, Adel, Atkinson County, Bill Slaughter, conservation, Cook County, diversion, fee, General Assembly, Georgia, Government, Gretchen Quarterman, Hahira, Hahira City Council, House of Representatives, HR 158, LAKE, Lanier County, Law, Lowndes Area Knowledge Exchange, Lowndes County, Lowndes County Commission, north Florida, Pearson, quality, Regular Session, river, south Georgia, Suwannee Riverkeeper, Tim Carroll, trust fund, Valdosta, Valdosta City Council, water, watershed, WWALS, WWALS Watershed Coalition on January 23, 2018 by jsq.